Team Six Star6urn-PM is a health and wellness supplement that’s sold on Amazon by Team Six Supplements. Apart from the fact that the company is very active on Amazon, and markets several other products via the site, there’s no information available about Team Six Supplements. 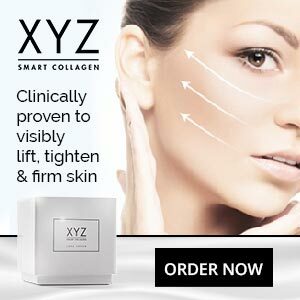 Like a lot of other companies that use Amazon for marketing purposes in this way, the company has built a reasonably impressive website to showcase the virtues of the products they offer and then give interested individuals the opportunity to buy their chosen supplement(s) from Amazon. The site provides no company information whatsoever. What Is Team Six Star6urn-PM and How Does it Work? Team Six Star6urn-PM is a pill-type supplement that’s intended to provide a combination of fat burning, stress relief, and improved sleep. Although this is a pretty unusual combination of benefits, Team Six Star6urn-PM is not entirely unique because there are a few other supplements on the market that are designed to do similar things. The idea of losing weight while sleeping is certainly an appealing idea and there are some grounds for taking this kind of approach to weight loss because there a number of ways a lack of sleep can cause weight gain. Awake or asleep, there is always the chance that some muscle tissue may be burned along with the body fat. Some ingredients, such as a-Laceys Reset have been shown to help prevent this, let’s take a look if the Team Six Star6urn-PM formulation contains the right stuff to make all those enticing promises work. Magnesium (30mg): A mineral that is known to be involved in a number of biological actions that relate to muscle function including oxygen uptake and energy production. KSM-66 (300mg): A branded form of ashwagandha extract. Ashwagandha is an adaptogen herb that’s highly-valued by practitioners of Ayurvedic medicine. It’s used to treat stress, fatigue, insomnia, anxiety, and joint pain, but it’s abilities in all roles require further study. Garcinia Cambogia (60% HCA) (300mg): A fruit extract that is high in antioxidants and can help suppress the appetite. The hydrochloric acid (HCA) in garcinia cambogia also discourages the formation of fresh fat cells. The best extracts provide 60% HCA or more and the one used here appears to be sufficiently potent. InnoSlim (250mg): A proprietary blend created by NuLiv Science. It consists of panax ginseng root and astragalus membranaceus root. There’s no proof this particular combination works, but it’s intended to provide stimulant free appetite suppression and fat burning. Green Coffee Bean Extract (250mg): The chlorogenic acid provided by this ingredient encourages fat burning and also reduces sugar urges. Mucuna Pruriens (150mg): Also known as velvet bean, mucuna pruriens is a legume extract that reduces cortisol levels. Elevation in cortisol can occur due to stress and can result in weight gain. Research shows mucuna pruriens also boosts testosterone levels. This is an important ability in a blend such as this because testosterone encourages improved muscle mass and helps the body to burn fat. Melatonin (5mg): The hormone that controls sleep. If melatonin levels are too low at night, sleeping difficulties may arise. This inclusion speaks for itself. Bioperine (5mg): A patented black pepper extract. It’s unlikely to provide any direct benefit, but the piperine it contains should improve the bioavailability of the other ingredients in the blend and help them be absorbed more easily. Two capsules should be taken in the evening, shortly before going to bed. A few customers complain of feeling let down by the product, but the vast majority of customer reviews are very good. Team Six Star6urn-PM is not intended for anyone who is under 18-years of age and is also not deemed suitable for women who are pregnant or breastfeeding a child. All potential users are advised to get the consent of their GP before using Team Six Star6urn-PM. This is especially important for people who are taking medication or have a medical condition. The maximum usage period is eight weeks. Presumably usage can be recommenced at some point, but Team Six fails to specify how long a break is required. Team Six supplements can only be purchased from Amazon.com and delivery options are not available to anyone who does not have a USA postal address. This is a pretty impressive formulation and our evaluation of the ingredients suggests it should do the things it’s supposed to do. 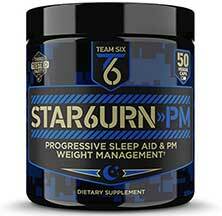 However, Team Six Star6urn-PM probably offers the most value as a sleep aid and is probably best seen as a natural alternative to sleeping pills that offers some fringe benefits. Anyone who has a serious desire to lose weight would be better off choosing a supplement that has been designed specifically for weight loss and contains fat burning ingredients that pack a more serious punch. It also has to be remembered that calorie consumption is also a key factor in weight loss and people who overeat do so during waking hours, not while they are sleeping. 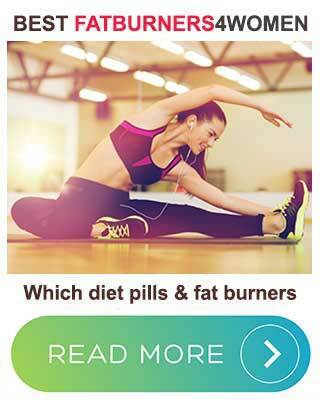 We suggest LeanBean – it is top rated fat burner for women. It contains some excellent ingredients and can help hormone imbalance – a leading cause of female weight gain. 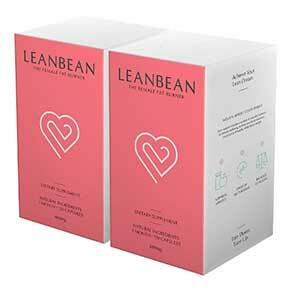 LeanBean has a long money back guarantee period and some pretty convincing testimonials.